Staff Correspondent: Bangladesh is the world’s largest raw cotton importer as it uses this cotton to manufacture yarn and fabric for the readymade garment (RMG) industry. What is generally forgotten it that it pays a phenomenal $3.0 billion annually as import bill for the natural fibre. It goes without saying that it does a good job of producing quality apparel for the export market; however, what is worrying is the non-availability of huge quantities of domestic cotton required to produce finished RMG. Initially, the problem was very serious as exporters had to depend on imported fabric for both woven and knit apparel. However, in the last two decades the situation has morphed post the emergence of many composite textile mills to make up for the non-availability of fabric. Currently, domestic production has increased so that about eighty per cent of fabric required for apparel manufacturing is sourced locally. China still leads the pack as the world’s largest cotton consumer despite its reduced cotton production/import in recent times. As Chinese stock of cotton is being cut back significantly, the price of cotton is increasing. 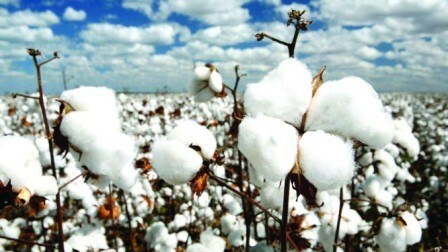 On the other hand, the US, the largest cotton exporting country in the world, is creating an artificial supply shortage by cutting back on the cultivation of the natural fibre. Today, Bangladesh is the fifth largest cotton consumer in the world and its cotton import is estimated to grow beyond 7.0 million bales in 2017-18. In the year ago period, it was nearly 7.0 million bales. The country’s import bill has thus been skyrocketing and as per recent report in a local daily, it has gone beyond $3.0 billion. Apparel products made of cotton has been the mainstay of Bangladesh’s exports over the decades. Many exporting countries that do not produce enough raw cotton have shifted to manmade fibres such as filament, polyesters and viscose. Following this model, one can see a paradigm shift in international trends in the use of manmade and natural fibres. Following the exponential rise in the use of manmade fibre increasing its ratio to more than 70 per cent internationally, it goes without saying that apparel exporters are forced to diversify their product range by increasing the use of manmade fibre.